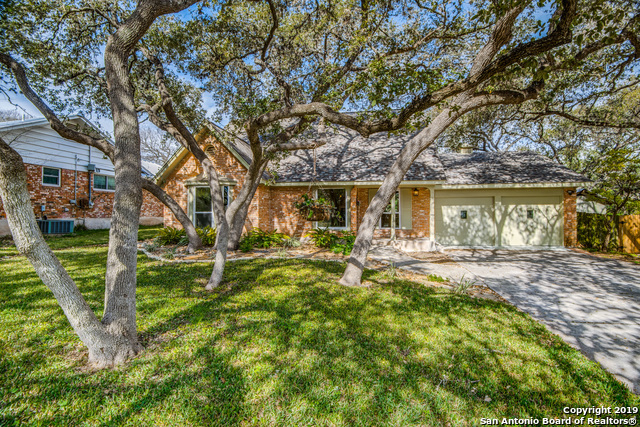 All COLONIAL OAKS homes currently listed for sale in San Antonio as of 04/24/2019 are shown below. You can change the search criteria at any time by pressing the 'Change Search' button below. "4/2/2 with a unique INGROUND SALTWATER POOL in the highly desired NEISD. This home is set in the quiet Colonial Oaks subdivision. The home is the perfect mixture of a retro style with modern features and includes real Oak floors as well as ceramic tile (no carpet). HVAC replaced in 2015, water heather replaced in 2016, Energy Efficient vinyl windows throughout in 2017, roof replaced in 2016. Mature trees, large front yard, storage shed, greenbelt lot, large outdoor patio, garage workshop."